2 Years Improving your ASO Strategy - Happy Birthday TheTool! TheTool’s Birthday: 2 Years Improving your ASO Strategy – Happy Birthday! Today is a very special day for us! TheTool was launched on this day two years ago (April 1st, 2017), so we are celebrating our second anniversary! Let’s take a look back to see what we have achieved. TheTool started to walk on April 1st, 2017. A lot of things can happen in two years, and this is the case for us. We’ve gone through a long path, so let’s make a quick comparison between our first steps and our look today. As you can see, at that time the information we gave was really basic in comparison with what we are offering today. We are providing new and exciting details progressively, empowering the use of big data in the app marketing field. There are countless details to check about keywords and App Store Optimization in general, from the ranking of a particular keyword per day to the performance of your competitors regarding that keyword. And now, we even share our SVRank regarding Similar App Cards on Google Play Store! A lot has changed in two years. 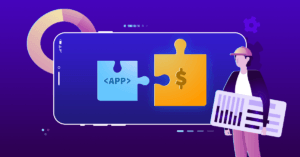 At that time we were focused on tracking the main ASO KPIs, but since then we’ve improved all of them with new data, features and tools that have been proved to be extremely helpful for App Store Optimization. We are talking about the Keyword Density tool, Keyword Suggest tool, Installs per Keyword, ASO Score… And more recently, the already mentioned SVRank and Real Time Search. We’ve worked so hard and for many hours during these two years, and we are not planning to stop at all!